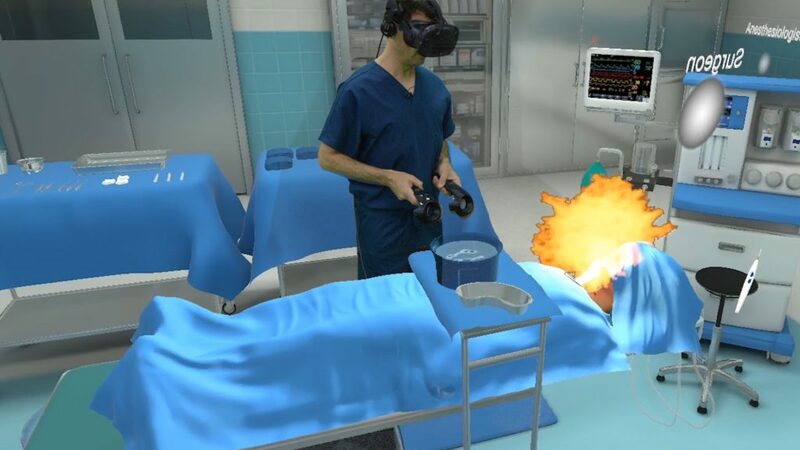 Health Scholars has launched the first commercially available virtual reality (VR) training simulation for operating room fire prevention and management to better address the hundreds of surgical fires reported each year. 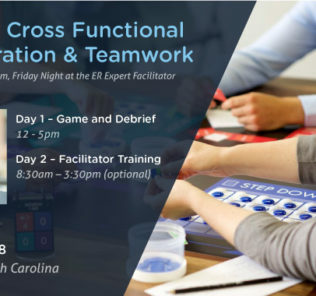 With Fire in the OR organizations can now provide clinicians experiential fire safety training in as little as 20 minutes, and scale simulation across a large healthcare system. The opportunity to train in virtually simulated environments dramatically reduces the cost involved with high-fidelity training, with the ability to train almost anywhere! Understand the causes of operating room fires. Tutorial: Most learners will be new to VR. Health Scholars invested significant time in building Fire in the OR for non-gamer professionals. The tutorial teaches learners to interact in VR and provides opportunity to practice skills required to interact with the environment. Fire Triad: The fire triad is a core concept in understanding and preventing operating room fires. Learners explore the room and identify the elements of the fire triad. A detailed, interactive debriefing is provided to reinforce the concept. Fire on a Patient Simulation: Learners will practice the skill needed to manage and extinguish a fire on a patient. After a structured, interactive debriefing, learners will explore the root cause of the fire to understand how this fire could have been prevented. Reduces Errors: VR provides a clinically accurate, interactive experience with demonstrated results in improving clinical decision-making, clinical performance, and communication skills. Scaleable: VR can easily be deployed to large learner populations across a hospital network training more clinicians in less time. Cost Effective: VR simulations are more affordable than high-fidelity simulation training, help mitigate incidents and can reduce liability costs. The recent January 2018 study “Immersive Virtual Reality Based Training Improves Responsive In Simulated Operating Room Fire Scenario” in Surgical Endoscopy, Sankaranarayanan et al showed a 250% improvement in managing an operating room fire when learners practiced in VR versus traditional training methods. Fire in the OR provides an unmatched level of realism, delivering rich simulation efficiently, cost effectively and at scale to better address a critical patient safety issue. Health Scholars was founded by healthcare professionals who recognized the need to advance immersive education and clinical training effectiveness. Their mission is to improve patient safety via the delivery of experiential learning and advanced simulation to nurses, physicians and team-based healthcare staff via a single, future ready education platform. One that is easy to use, is scalable across a health system, and more effectively manages, delivers and analyzes blended learning programs. The Health Scholars One Blended Learning Platform delivers advanced learning technologies, methodologies and the best mix of modern and engaging content, including virtual reality simulations. It improves the efficiency of delivering blended learning programs, and combined with interactive content solutions, improves the effectiveness of education programs. Health Scholars is headquartered in Denver, Colorado and has clinical and support operations embedded in the world-class Jump Trading Simulation and Education Center on the OSF Campus in Peoria, Illinois. Learn more about VR Simulation Training and Fire in the OR on the Health Scholars Website!